After meeting with Pope Francis on March 18, 2019, Cardinal Philippe Barbarin, Archbishop of Lyon, decided to withdraw from the government of his diocese for some time. The Pope didn’t accept his resignation, in virtue of the presumption of innocence, while the Cardinal has appealed his six-month suspended prison sentence for non-denunciation of sexual abuses. The leadership of the diocese of Lyon is entrusted to the Vicar General Moderator, Father Yves Baumgarten, said Cardinal Barbarin in a press release, published the following day: “Monday morning, I entrusted my mission to the Holy Father’s hands. On invoking the presumption of innocence, he did not wish to accept this resignation. He gave me the freedom to take the decision that seems best to me for the life of the diocese of Lyon today,” reads the text. “At his suggestion, and because the Church of Lyon has suffered for three years, I’ve decided to withdraw for a time and to leave the leadership of the diocese to the Vicar General Moderator, Father Yves Baumgarten,” he continues. This decision takes effect beginning March 19. 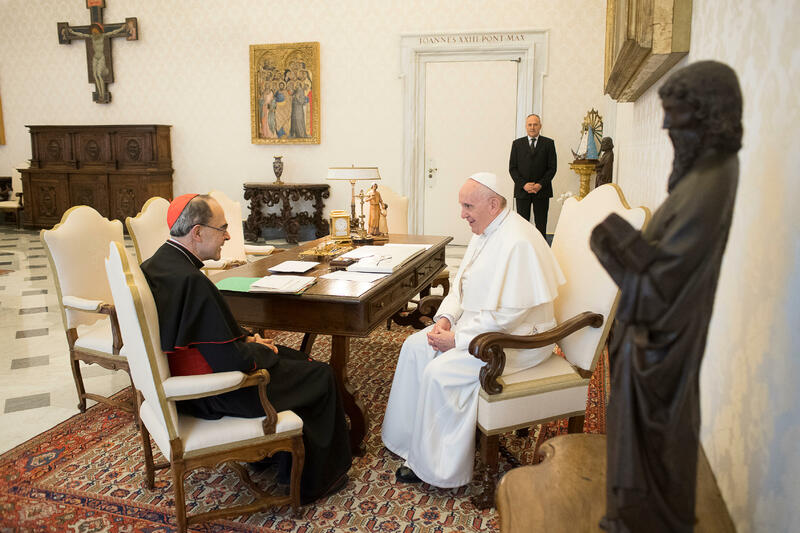 The Director ad interim of the Holy See Press Office, Alessandro Gisotti, confirmed that the Holy Father “did not accept the resignation” presented by the Cardinal. However, aware of the difficulties that the Archdiocese is experiencing at present, the Holy Father left Cardinal Barbarin free to make the most appropriate decision for his diocese,” he added. The Primate of the Gauls, appointed Archbishop of Lyon in 2002, was accused in 2016 of failing to denounce the sexual aggressions of a priest of his diocese, Father Bernard Preynat, who abused some 70 minors in the framework of scouting in the 70s and 80s. Last March 7, the Cardinal was declared guilty “of non-denunciation of bad treatments of a minor between 2014 and 2015. He appealed the sentence, as well as the decision of the Public Prosecutor’s office of Lyon.